It's not easy being the only day girl at Turlingham Academy: Sophie misses out on all the midnight feasts and late night gossip. And when new girl Katy turns up it feels like she's bewitching all of Sophie's friends! Katy's no witch, but there is a witch at Turlingham. Katy comes from a long line of witch hunters whose job is to stop evil magic. Sophie is going to help her - anything to get Katy out of her life and get things back to normal. But what she discovers means nothing will ever be normal again! I have to admit I had my doubts about this before I read it but I was pleasantly surprised. I actually really enjoyed it, a lot! 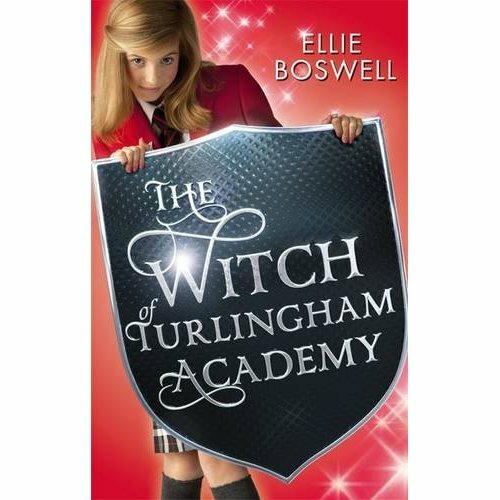 In fact it reminded of the The Worst Witch (a past-time favourite) but more modernised which is always nice to have. The book was quick, snappy, fast paced and pet you interested the whole way through. Definitely a feel-good book. It's one of those book where you read it and you just wish the world would actually be like that, be we all know it's not gonna happen. The plot was very simple, no complex hidden story lines, it was fun and was easy to follow. I liked it., though. I moved on quickly, kept you thinking and waning to know what happened next. It was very light-hearted and I like to have a breath of fresh air, every once in a while, because of all the books I read. The writing was nice to read aswell. There was no over description or endless pages of dialogue, just a nice balance that got straight to the point and created a nice vivd image in your mind. It was definitely enjoyable to read and I didn't come out not liking it, so I think Boswell has done a brilliant job with this novel. The characters were all good, and because their weren't loads of them, It made it easier to get to know them, because of course this is the first book in the series and we don't know them yet. I felt they were all really strong, standalone characters, and you could get really close to them. My favourite characters would have to be Katy and Sophie, because you learn what true friends are from them, something that you find often in out modern day society. This book is perfect for escapism. Overall the book was funny, fantastic, light-hearted read that kept me glued to it till the end!